How heavenly! This cupcake reminds me of that The Eurythmics video, "There Must Be An Angel Playing With My Heart". 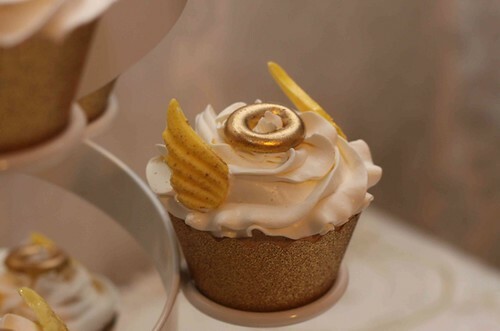 This cupcake is from Confectionately Yours in Perth, Australia. Don't you just love Annie Lennox? !